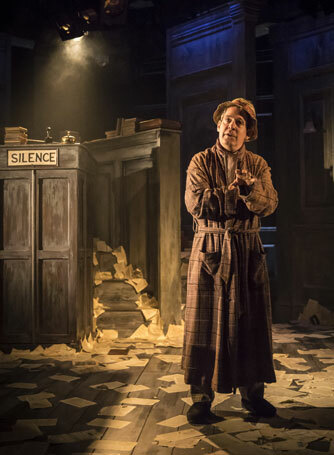 I must begin with a confession: there are great big chunks of Tom Stoppard’s 1974 fizzing firework of a play when I simply don’t have a clue what it is about or what is going on. 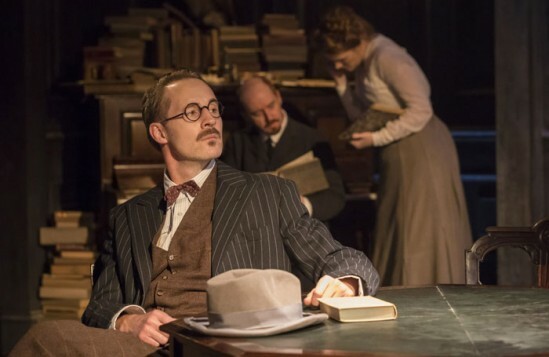 Somehow, and based on fact, writer James Joyce, revolutionary thinker Vladimir Ilyich Lenin, Dada activist Tristan Tzara and a minor British consul official Henry Carr are all based in Zurich in 1917 as the First World War is being waged. 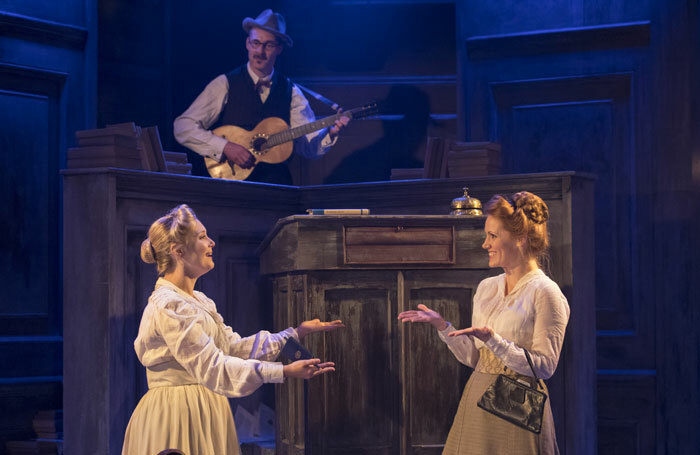 Meanwhile, in Stoppard’s busy intellectual vaudeville, a different kind of war is being fought between them: one over words and ideas on art, literature and politics. There’s a lot of intellectual posturing, by turns dizzying, delirious and occasionally hilarious. 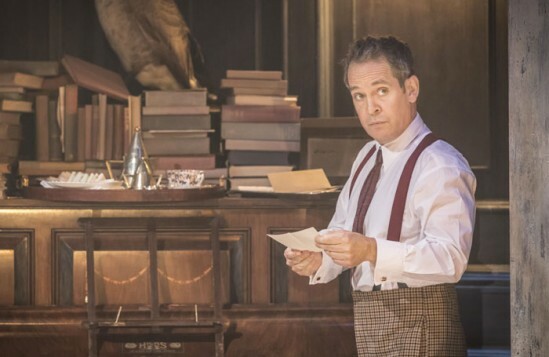 Stoppard casts it as a memory play, as Carr, now a tottering old man, revisits this seminal moment in his life, one in which he also happened (again, a fact) to be appearing in a production of Oscar Wilde’s The Importance of Being Earnest as Algernon. And, as the characters from that comedy become meshed with the real-life ones in this play, it allows Stoppard to liberally borrow and subvert some Wildean aphorisms. 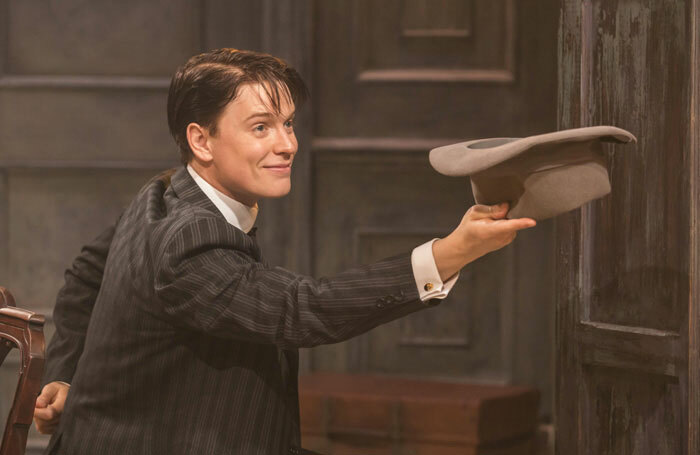 Playwright turned director Patrick Marber, whose own debut play Dealer’s Choice was revived at the Menier, returns to stage a rigorous and vigorous new production, fielding a cast that is pure comedy gold. 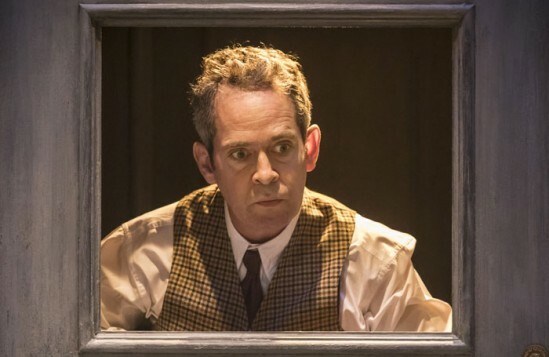 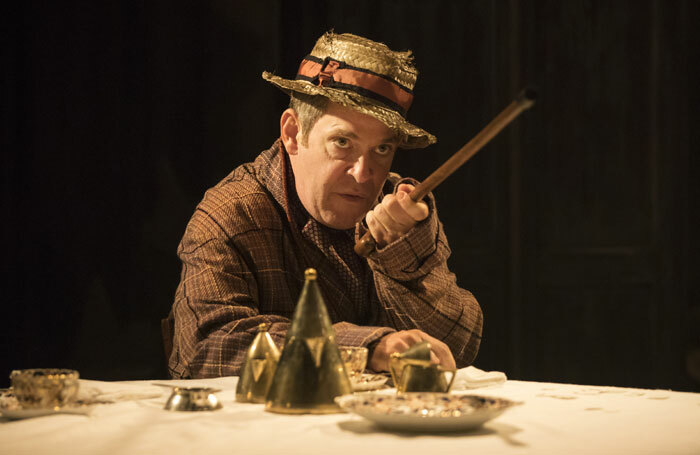 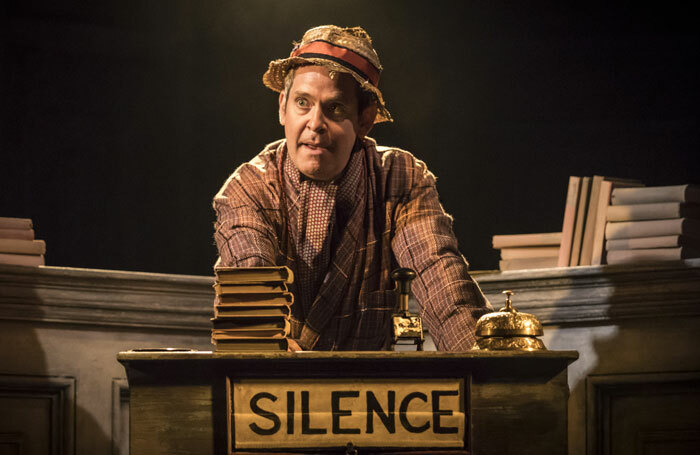 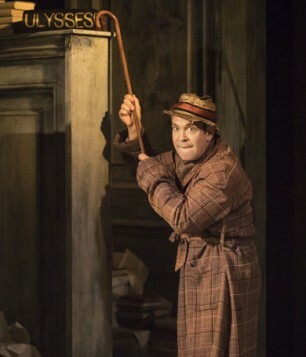 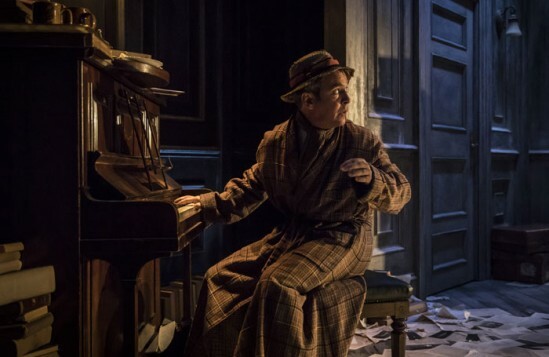 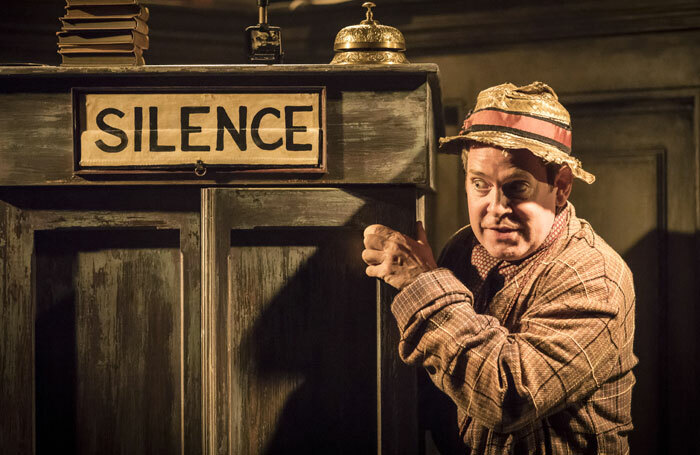 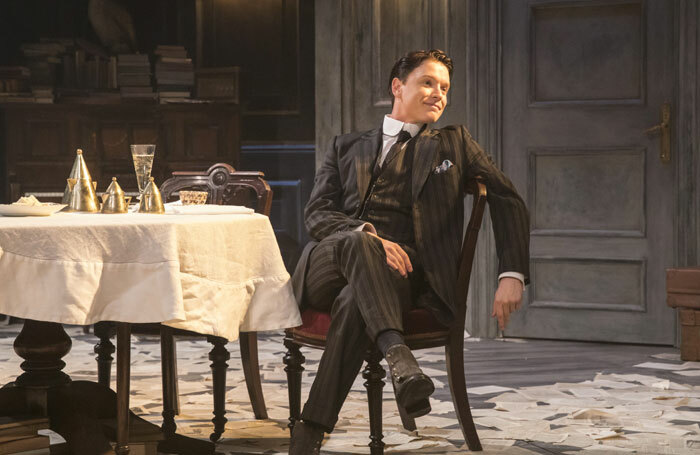 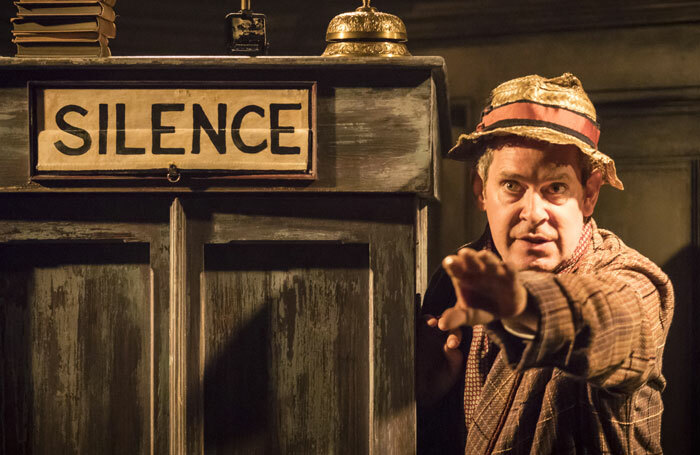 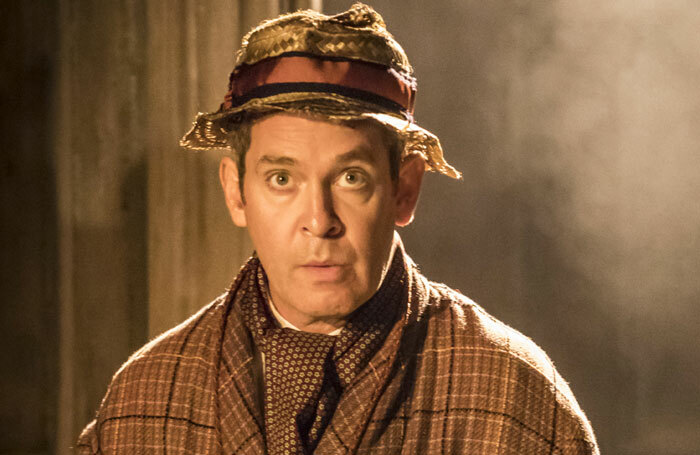 Tom Hollander, Freddie Fox, Peter McDonald and Forbes Masson are embodied in larger-than-life brushstrokes as Henry Tristan Tzara, James Joyce and Lenin respectively, but it is in two of the supporting performances that the comedy really shines. 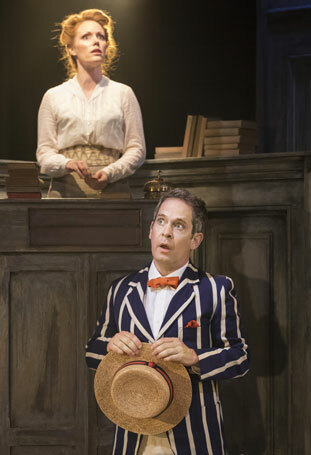 Clare Foster is irresistibly funny as well as alluring as a librarian called Cecily, while Tim Wallers is a scene-stealing butler.